PROTECT Company offers plastic nets for fencing. Choose affordable materials, which will help you to construct budget fence around your place! On our site you will find a wide range of plastic nets, the height of which varies from 1.2 to 2 meters, with traditional as well as original shape of openings. We invite you to use the products of PROTECT Company in your allotment plot, garden or at a sports ground! Plastic fencing net suits perfectly well for private usage as it has some advantages over steel-wire mesh and wooden fence. Lightweight. Plastic net is much lighter than a metal one. It’s more comfortable in installation and transportation. Esthetic look. Fences, made of plastic net, look modern and attractive. Their exterior appearance remains intact with time. Easy maintenance. Unlike metal and wooden constructions plastic fence doesn’t need any maintenance. All renovation works, i.e. repairing, repainting, damp-proofing and so forth, are things of the past! 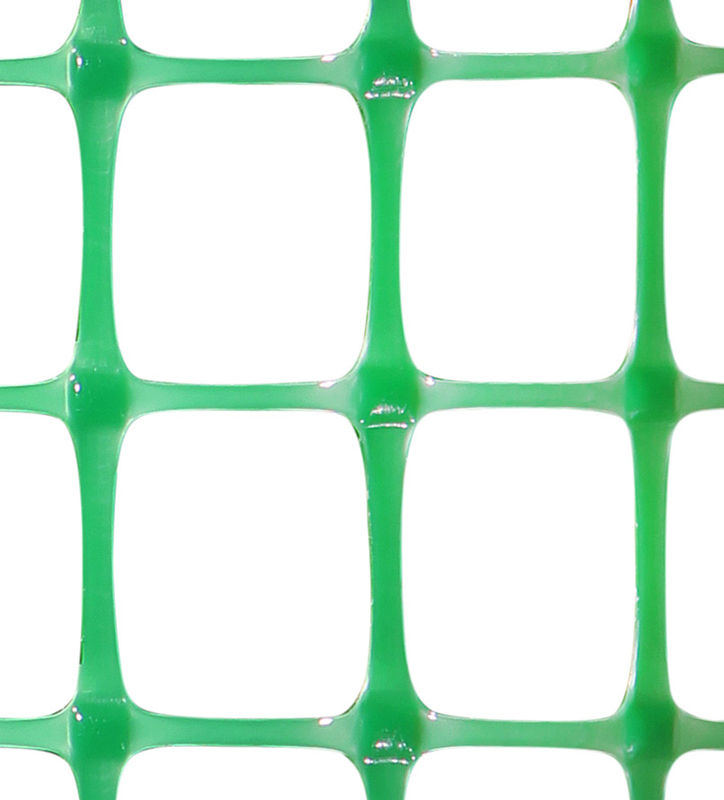 Plastic is a water-resistant material, that’s why plastic net will continue to perform without being blighted by rusting and rotting, won’t require any additional treatment. Easy installation. 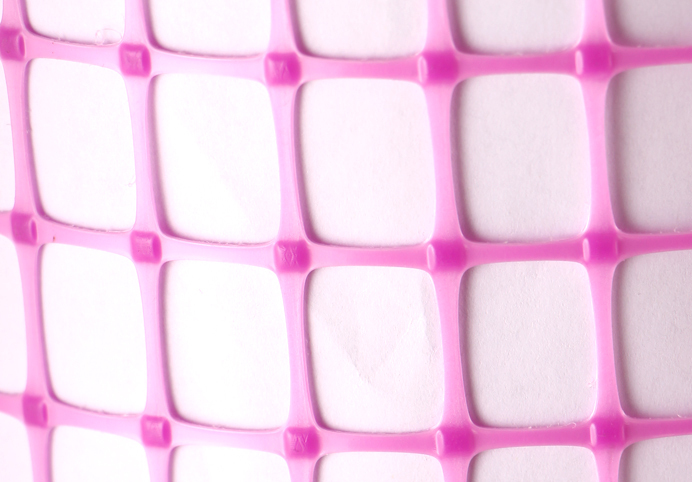 Usability is one of the most valuable advantages of polymeric mesh. To build a fence you needn’t hire professional assembly workers, as you can manage it yourself. Plastic mesh is an all-purpose thing. It can be used for fencing of residential areas, garden and vegetable plots, as well as sports grounds. In addition, plastic net can be applied to the construction of an open-air cage for some small animals like goats, sheep and pigs. Also plastic net would be handy if you build a nice enclosure for your cat, construct safety shield for your balcony, put up a wild animals control fence or make a poultry run. Decorative plastic fences of 1.2-1.5 meters high look especially attractive and original. Garden fence made of green-colored plastic perfectly matches the foliage and looks harmoniously and appropriately in the garden. Dig some poles into the ground. It is highly advised to use metal ones. The distance between each pair of poles must not exceed 2 meters. Each pole should be dug by one third of its height into the ground to ensure the firmness of the construction. Measure out the necessary length of the net. Then cut it off with an ordinary hedge trimmer or a pair of pruning shears. Fasten the net to the poles. The most convenient fasteners are nylon ties. Apply two or three ties at regular intervals along the pole's body, pulling them tightly. Provide your fence with additional firmness. To prevent sagging of decorative garden net one should apply a line wire. Thread it through the upper and lower edges of the mesh and this extra support will make your fence tighter and more stable.